You are here: Home » Dive into something new! Six models in total. The main goal of the project was a) to help my buddy knock off some ‘to-be-painteds’ from his shelf and b) to experiment with color ranges I usually never to rarely use. 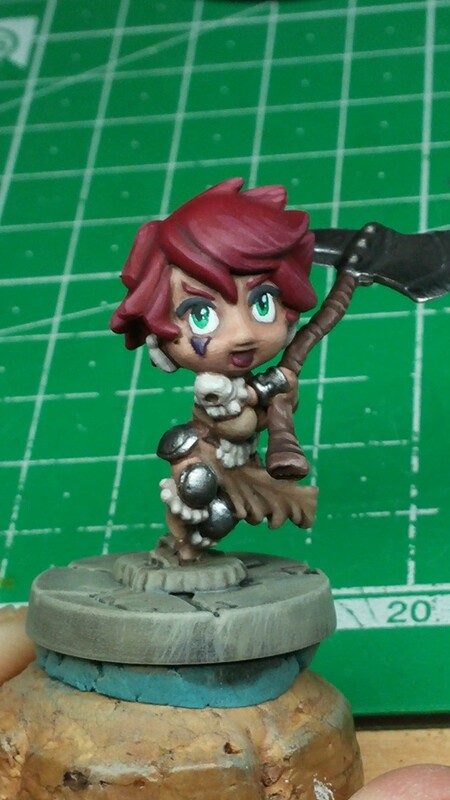 Number two was this cute barbarian girl. As mentioned above she had a good range of colors I am accustomed to. The heavy red was surely a fun color to paint. Painting large anime eyes is pretty fun to. Oddly it is a way to practice simple free hand. Really a fun project. Number three was this spear girl. 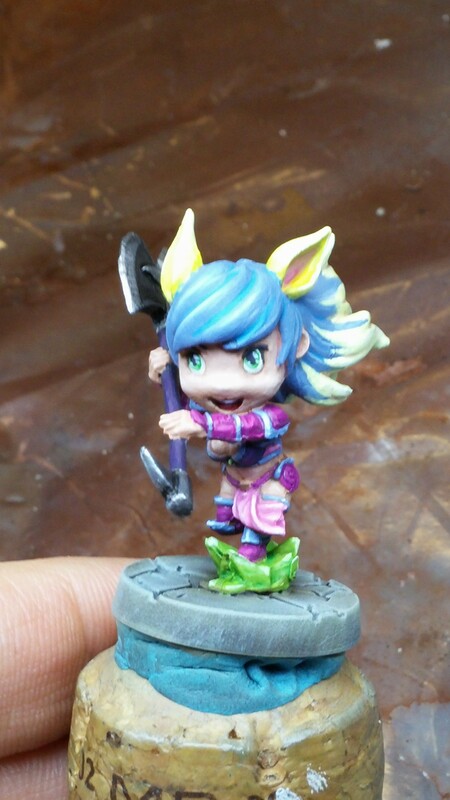 I was supposed to paint her as on her box (same goes for two of the following models). It was a challenge to somehow get her hair to work. I think if I had more time to put into the project I could have made a better transition ion there but none the less it was fun to paint. Yellows, blues and pinks. Ugh! Not my favorite colors to paint. Still good practice. This is a model I enjoyed a lot. She has a really nice shade of purple hair and her golden and brown clothing really worked well together. Of the six models this is my favorite in results. A gunner gal came up fifth. 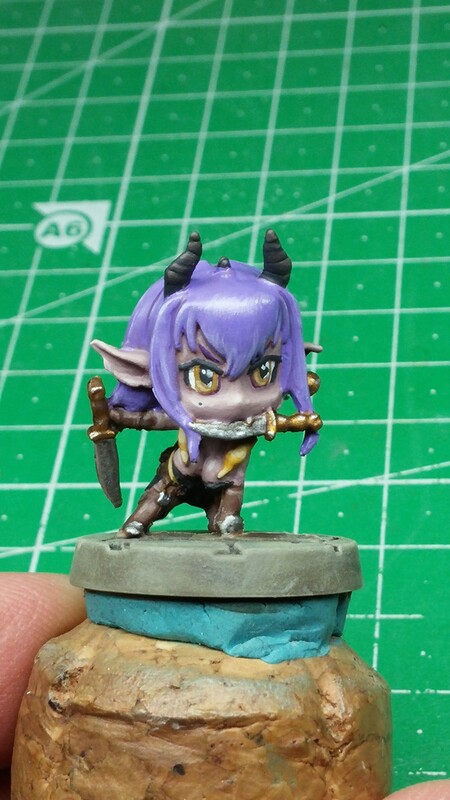 Box art painted, I would say I nailed her in that aspect the best of the miniatures. My favorite model of the bunch and one I enjoyed painting a whole lot. The hair was a real challenge and I really pushed myself to paint something nice. Being a pirate is alright with meeeee. You are a pirate! She surely is and color wise pretty savvy too. I dig reds and oranges. To be honest she does have a bit too much red. But her box art was rather limiting. 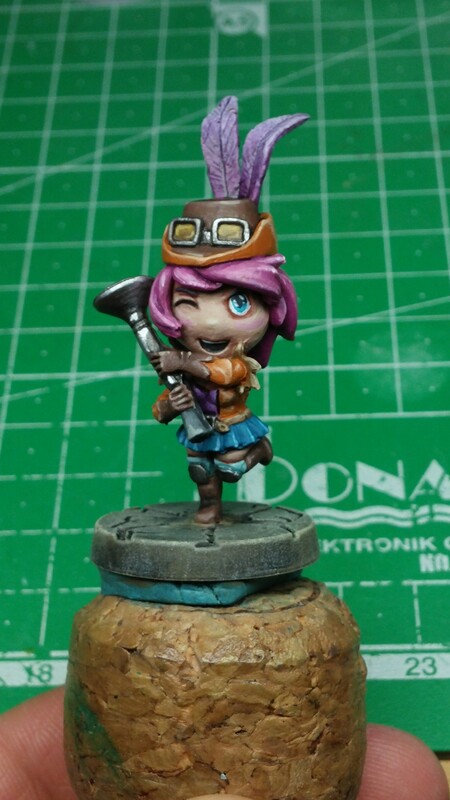 A fun and cute model to paint as a grande finale to a project. 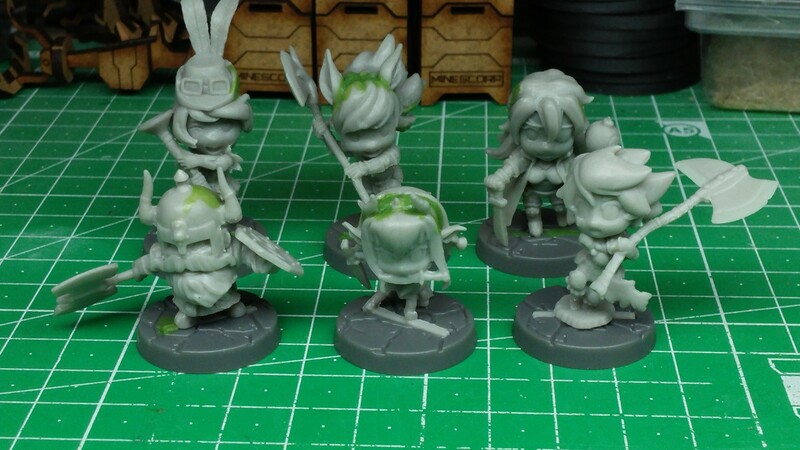 a) Super Dungeon Explore miniatures are highly detailed sculpts that are practically ruined by the poor execution of the company’s way to pour and mold them. The plastic is of such a poor quality that any file would literally rip open the surface than smooth it down. Cutting the material was difficult and a terrible task with numerous mold lines on such nice and detailed miniatures. This is the worst aspect of the miniatures I encountered and unfortunately the first. b) They are damn cute. 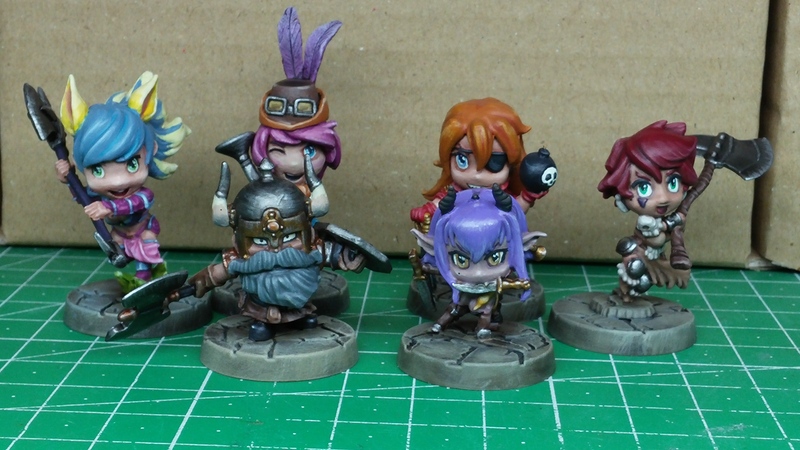 I really enjoy the look of the miniatures. 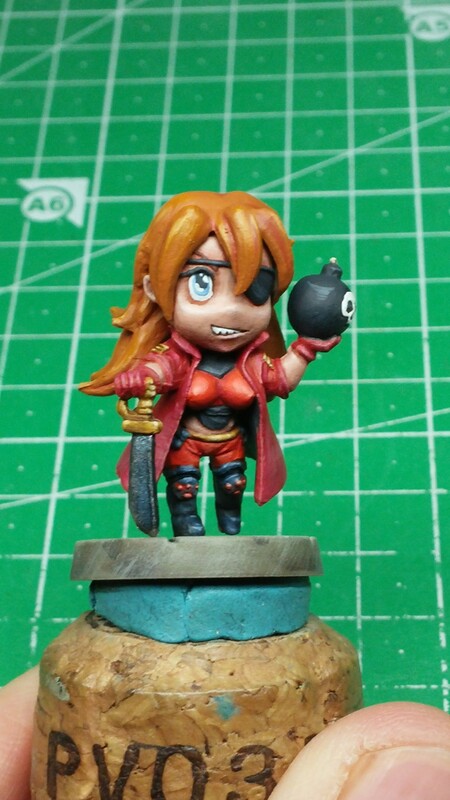 Very anime and chibi, they offer a nice and fun distraction from my usual style of miniatures (Infinity, Malifaux, Dreadball, etc…). Personally I wouldn’t purchase these myself (Though I would LOVE to have a Nyan Nyan model of the range). They are just not my taste to enjoy them for a longer duration. c) Practicing with colors I usually do not use is a nice refresher. 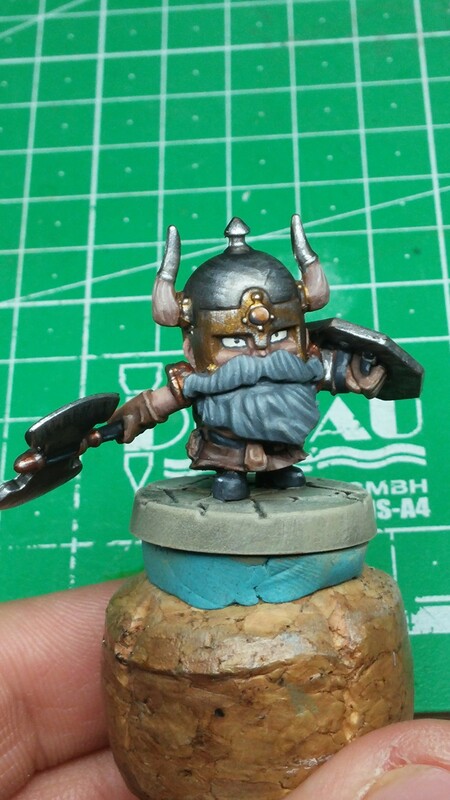 Painting these minis gave me many ideas how to incorporate some of the colors into my current and even future lines of models I plan to paint. Mostly not as stark or bold as in these miniatures but definitely snuck in there somewhere. ← Not really a Myrmidon’t! Let’s keep this up!